BLADE offers a published schedule of flights between Nantucket and Manhattan or Westchester, while also arranging crowdsource and charter services between all New England destinations. 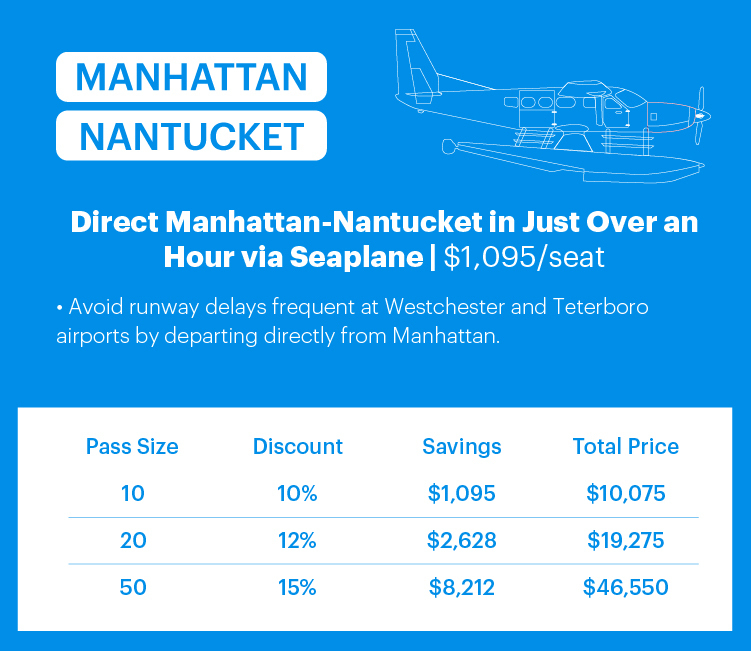 Only BLADE offers a schedule of non-stop by-the-seat flights by seaplane between the East Side of Manhattan and Nantucket. Alternatively, fly by helicopter from the West Side of Manhattan to Westchester, and board a Pilatus PC-12 turboprop from Westchester to Nantucket. You deserve to soar over the skies in a helicopter or seaplane. Skip the traffic in the fastest and most comfortable way to Nantucket and The Cape. Season passes can be used for you or for your friends and family. Lock in your summer flights with a few easy steps by viewing discounts with packs here. Depart from BLADE’s Aqua Lounge in Manhattan with serviced flights from the newest and most advanced seaplanes in the Northeast. Avoid Air Traffic Control delays standard to Westchester and Teterboro Airports by departing directly from the river. Total travel time: 75 minutes. The only way to fly directly between Manhattan and Nantucket. All flights serviced in executive Pilatus PC-12s with jet-style interiors. 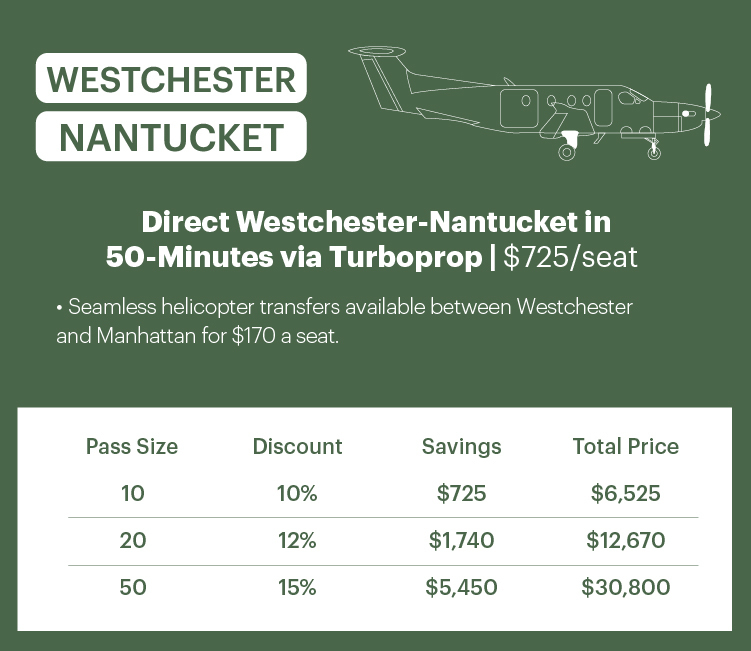 Helicopter transfers between Weschester and Manhattan available at additional $170/seat. Relax before or after your flight at our newest BLADE Lounge at Westchester Airport. Total travel time: 85 minutes. 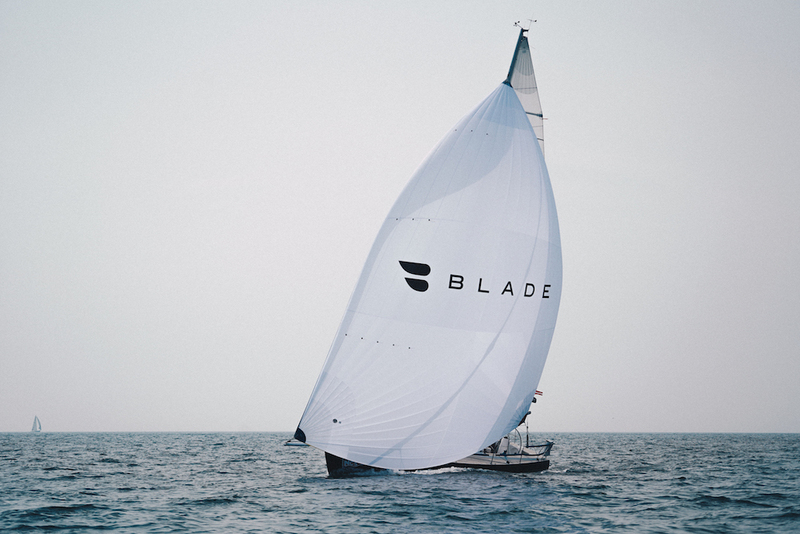 BLADE's Nantucket experience begins and ends at one of our BLADE Lounges. With unparalleled style and service, all of our locations have become iconic in the industry – you would never mistake a BLADE lounge for a typical FBO. Come and relax at our lounges with a Casa Dragones tequila or VieVité rosé.